One of the most important structures of the nose is the septum, the wall comprised of cartilage and bone that separates the right and left nasal chambers. When the septum is crooked or deviated, any number of health problems may occur, including nasal obstruction, breathing problems, sleep apnea, epistaxis and allergy problems. In some cases surgery may be required to straighten the septum. This surgery, called septoplasty, is a complex procedure that requires skill and experience to perform. If you have been diagnosed with a deviated septum or believe you have one, it is very important that you choose a qualified facial plastic surgeon specializing in nose surgery to perform your procedure. One of the main things to consider when looking for a septoplasty surgeon is board certification. Choose a surgeon that is board-certified by the American Board of Facial Plastic and Reconstructive Surgery (ABFPRS). Most surgeons certified by the ABFPRS complete a residency in either otolaryngology-head and neck surgery or plastic surgery. During these residencies, surgeons learn and master surgeries of the septum, including septoplasty. All board certified facial plastic surgeons must pass a rigorous examination administered by ABFPRS, as well as hold approved licensure and follow the ABFPRS Code of Ethics. Candidate surgeons are also required to show a record of clinical experience that includes at least 100 facial plastic surgery procedures. 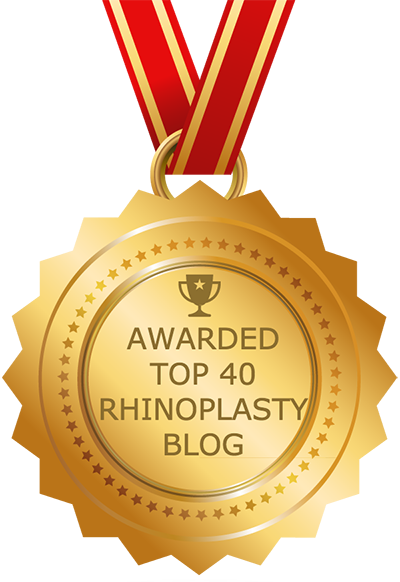 There are a number of qualities to look for in a septoplasty surgeon. First, your surgeon must have in-depth knowledge of the internal and external structures of the nose. The surgeon also needs experience performing surgery involving these structures. Look for a surgeon that has hospital privileges and performs septoplasty on a continual basis. Your surgeon should have training relating to aesthetic and functional issues (e.g., breathing problems) and should have extensive experience addressing such issues. Board-certified facial plastic surgeons are more apt to have this experience than other types of surgeons. It is important that you be convinced of your surgeon’s devotion to safety and care. Look for patient testimonials on the surgeon’s website and ask to see more at your initial consultation. If you can speak with former patients, even better. What you’re looking for is a track record of positive results, particularly with septoplasty procedures and other complicated nasal surgeries. Advanced surgical equipment is another sign of a good septoplasty surgeon. For example, 3D technology allows for greater precision during septoplasty, and typically leads to shorter recovery periods. Media appearances and “Top Doctor” awards from organizations and publications relating to facial plastic surgery are also a sign of a good surgeon. Your septoplasty procedure may or may not be covered by your insurance carrier. If it is being performed mainly for cosmetic reasons, it will not be covered. If it is being performed for functional reasons (e.g., breathing problems) it is much more likely to be covered. Either way, the cost of the procedure should not be your main focus. Instead, focus on finding a good septoplasty surgeon. If you are worried that you won’t be able to afford it, ask the surgeon about financing programs. There are numerous reasons you should undergo rhinoplasty surgery by a facial plastic surgeon. For example, if modified incorrectly, the internal nasal structures can adversely affect nasal shape and cause collapses. Board-certified facial plastic surgeon such as Dr. Rizk have the knowledge and skill to prevent this by preserving a certain amount of septum (1.5 cm on the top of the septum and 1.5 cm on bottom part of septum) for support of external nasal structures. Skilled facial plastic surgeons take other preventive measures as well. For example, Dr. Rizk does not use packing after septoplasty surgery to reduce swelling and bruising. Instead, he uses tissue sealants that dissolve on their own in the nose within a few days. Tissue sealants also allow patients to breathe through the nose whereas packing does not. Have you completed any additional fellowships or training? Which medical organizations do you belong to? Am I a good candidate for septoplasty? Why or why not? What are the potential side effects of septoplasty? Where do you perform septoplasty? Do you have before and after photos I can look at? Once you have completed your research, refer to the website of the American Academy of Facial Plastic and Reconstructive Surgery to find a qualified facial plastic surgeon. This website has an MD finder that allows you to locate a qualified septoplasty surgeon in your area.